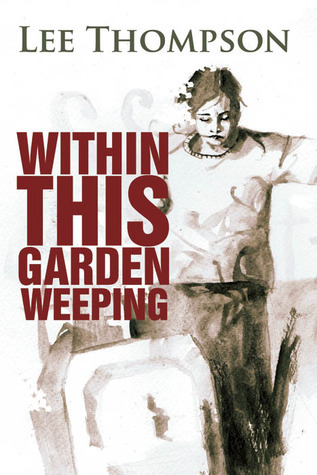 At first, I thought I would be at a disadvantage in that Within This Garden Weeping is Book Two in Thompson’s Division Mythos series, and I didn’t have the privilege of reading Book One, Before Leonora Wakes. If I had read it, I may have had a firmer foothold in this dark fantasy world and felt more grounded in the story and the characters. I’m okay either way because the information you need from Book One to keep you invested in the storyline is woven into Weeping with finesse. Our main character, Red, is at once frightened, unsure and curious that the world he lives in is no longer normal. He is a relatable young misfit, tentative with the girl he likes and a bit surly with his mother. Like many of us, he underestimates his abilities and his power. When someone puts him in a position to test that power, he balks. However, he is surrounded by a host of unique, disturbing characters that challenge, confuse, and torment him into completing his quest. It is an engrossing, mad, surreal, dream-state, coming of age journey that screams to you that failures can come from triumph and mercifully, vice versa. At once I both loved the book and doubted my sanity while reading it. But I like that. Greedy, I drank in this story and got so full that I had to wait a day or two before I wrote this review. Some of the best praise I have goes to Weeping. It made me think. It made me want to write more. I lost myself and forgot the time. And I forgot I wasn’t sitting in the garden watching the characters interact and the story unfold. Each description was vibrant and unique, yet appropriate. Weeping is a surreal, mystifying story, in which Thompson lures you to a calm lake, then grabs you and pulls you under. At first, I struggled to surface because I was caught off guard by its oddity. But soon after I relaxed enough to experience Thompson’s dreamlike kingdom. I recommend that you visit.